National Safe Motherhood Day (NSMD) is observed annually on 11 April to raise awareness about the proper healthcare of women and maternity facilities to pregnant and lactating women. This day also focus on reducing anaemia among women, institutional delivery, for better pre and post natal health care etc. which are necessary for mothers. National Safe Motherhood Day is an initiative of the White Ribbon Alliance India (WRAI), to enforce that women must have the availability and adequate access to care during Pregnancy childbirth and postnatal services. India has built a 25-bed maternity hospital in Nepal. The hospital has been built under the Government of India’s Small Development Projects Scheme. Indian Ambassador to Nepal Manjeev Singh Puri inaugurated the Chandra Narayan Yadav Memorial Maternity Hospital in Siraha district. It will also help in reducing maternal and child mortality rate. Health is one of the core areas of cooperation between India and Nepal. Several health posts, nursing campuses maternity centres, eye hospitals, naturopathy hospitals have been undertaken under the Government of India’s Small Development Project scheme. The tribunal headed by Justice Adarsh Kumar Goel who is the chairperson of NGT directed the state government to deposit Rs 100 crore ‘environment compensation’ with the Central Pollution Control Board (CPSB) within a month. The Insurance Regulatory and Development Authority of India (IRDAI) has advised all the insurance company to devise a framework to share the status of claims by developing a tracking mechanism for policyholders so as to enable them to know the status of their claim. Insurance companies will have to inform about claim settlement status to policyholders at various stages of processing from July. India’s asset management companies (AMCs) own assets under management (AUM) worth Rs24.46 trillion, according to data released by the Association of Mutual Funds in India (Amfi). HDFC Asset Management Co. Ltd has claimed the top spot with an average AUM of Rs3.42 trillion, overtaking ICICI Prudential Asset Management Co. Ltd with an average AUM of at Rs3.20 trillion. Out of the total industry assets, a huge 82.7% is owned by the top 10 AMCs, who have owned around 80% of the industry assets over at least three years now. Israeli PM Benjamin Netanyahu looks all but certain to stay in office for a record fifth term after his biggest election challenger, Benny Gantz, admitted defeat. Number of right-wing parties has expressed their support for Netanyahu, a coalition between Likud and smaller right-wing parties could form a 65 seat majority. 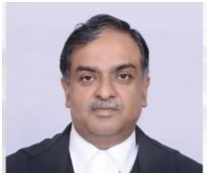 Senior judge of Allahabad high court, Justice Vikram Nath, was appointed as the first Chief Justice of Andhra Pradesh High Court. 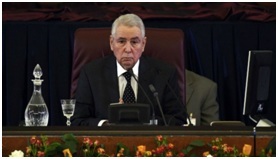 Algeria’s parliament confirmed Abdelkader Bensalah as the new interim president of the country, following lat week’s resignation by the ailing Abdelaziz Bouteflika. Bensalah has served as a lawmaker, ambassador, civil servant and senator, but it is his role as upper house speaker which paved the way for his appointment to the presidency. 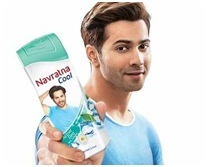 Navratna, one of the power brands of Emami Limited has roped in Bollywood heart throb & actor Varun Dhawan to endorse Navratna Cool. The popular actor, known for his massy youth appeal and versatility is going to add freshness to Navratna Cool as its new brand ambassador. Haiti’s President Jovenel Moise confirmed Jean-Michel Lapin as the country’s new prime minister. He succeeds Jean-Henry Ceant. Lapin is the third Premier under President Moise since he came to office in February 2017. India’s population composition in 2019, the report said 27 per cent of the country’s population was in the age bracket of 0-14 years and 10-24 years each, while 67 per cent of the country’s population was in the 15-64 age bracket. The report noted that Maternal Mortality Ratio (MMR) in the country dropped from 488 deaths per 100,000 live births in 1994 to 174 deaths per 100,000 live births in 2015. Indian cricket captain Virat Kohli and women’s cricketer Smriti Mandhana were named the Leading Cricketers in the World in the 2019 edition of the Wisden Cricketers. Kohli has won the honour for an unprecedented third year in a row while it’s the first time Smriti has won the honour. Afghanistan spinner Rashid Khan was named the Leading T20 cricketer for the second year in a row. Kohli was also named as one of Wisden’s Five Cricketers of the Year alongside English cricketers Jos Buttler, Sam Curran, Rory Burns and Tammy Beaumont. Wisden has been awarding cricketers since 1889 and it is considered one of the most prestigious honours in the sport. Asian champion shot putter Manpreet Kaur has been banned for four years by the National Anti-Doping Agency (NADA) for flunking four dope tests in 2017. The period of suspension would begin from July 20, 2017, the date of her provisional suspension, according to an order of the anti-doping disciplinary panel (ADDP) of the NADA. He had been an MLA of Pala assembly constituency for nearly five decades. Mani was a member of the house for 54 years and a minister in the state cabinet for 25 years.